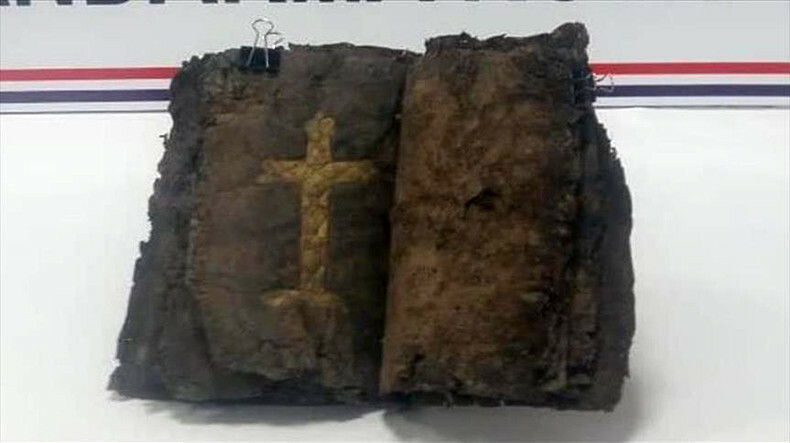 A Bible thought to be 1,200 years old was found in a police operation in southeastern Turkey, Anadolu Agency reported, citing the governor’s office. An anti-smuggling team on Monday seized the Bible, said to be only 34 pages long, with gold lettering on leather, in the city of Kayapinar, said the southeastern Diyarbakir governorship in a statement. The team seized the Bible while three suspects were attempting to sell it. Edited by onjig, 21 March 2019 - 04:11 PM.